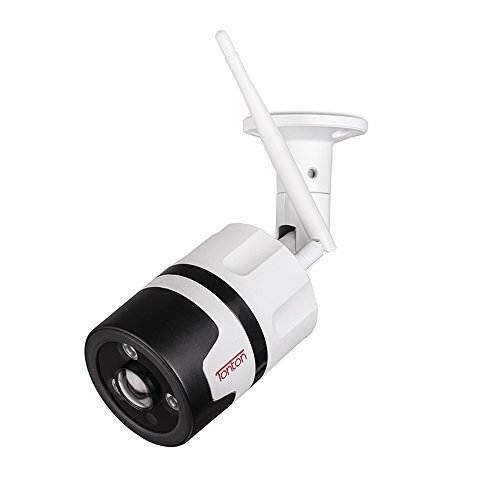 【Complete Surveillance System】Exclusive 16 Channel 1080P digital video recorder (2TB hard drive was pre-installed) paired with 16pcs weatherproof outdoor/indoor 2.0mp surveillance bullet cameras view and record 16 critical points of your Home and Business with outstanding long night vision (100ft) and 72°wide angle. 60FT BNC+DC CCTV cabling provides both video and power to your cameras,more stable and reliable than wireless security system. 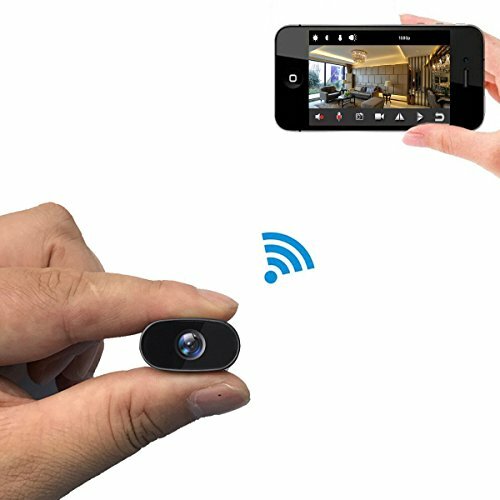 【Easy & Stable Remote Remoeing】Connect Security System to Internet, Scan the QR Code in DVR, Download the Free “XMeye” App, the smooth video will deliver in your smartphone (available on iOS/Android) and PC anywhere anytime. 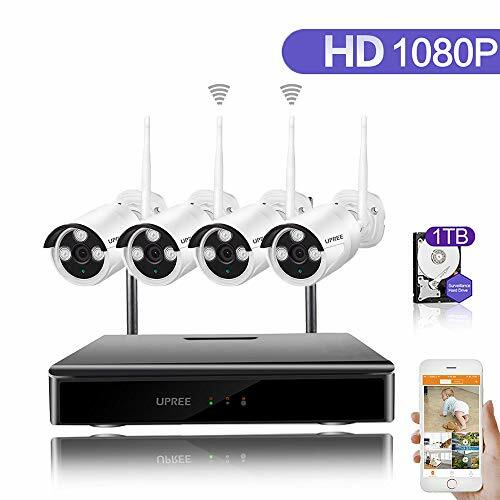 Stable and Safer than wireless system – Never worry about issues such as WiFi disconnected, device offline, Internet hackers. This system doesn’t requir the network,if you have a Local view directly. 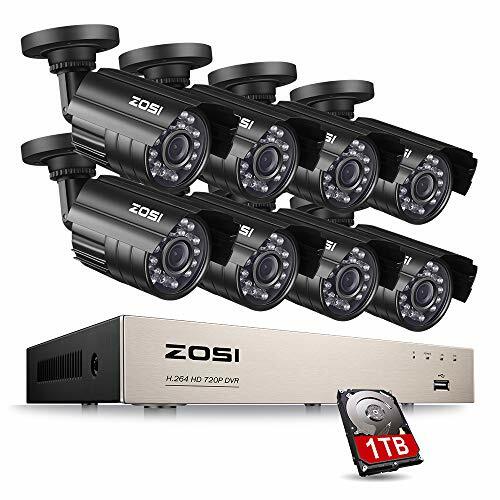 【Hybrid Capability 5-in-1 System】One 16 Channel DVR can be connected with Multiple Surveillance Cameras (960H Analog, 720P/1080P AHD, 720P/1080P TVI and CVI cameras),thus you are able to UPDATE and DIY your System to meet your needs in Later use. 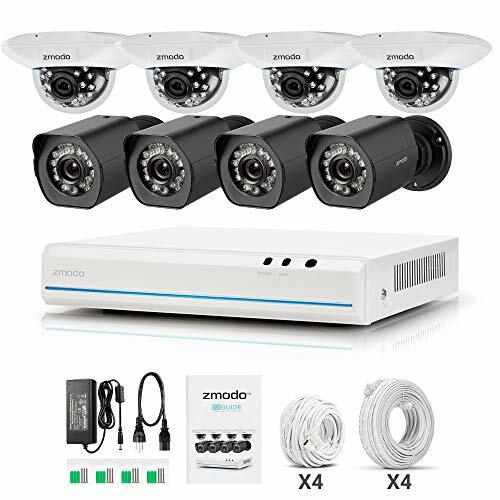 Save more money compared to buy a New Surveillance System. 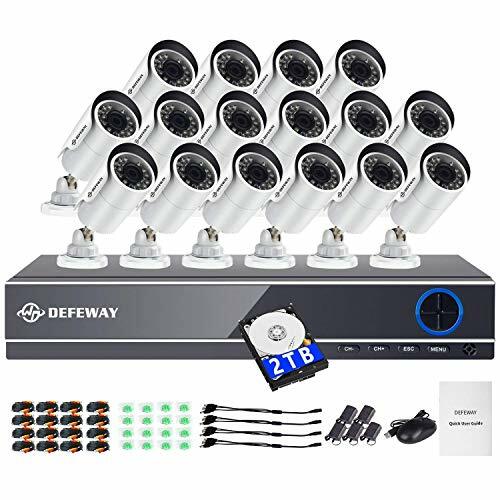 【Guaranteed Policy & Customer Support】 All DEFEWAY systems CE & FCC certified with qualified power supplies.30 Days Return,1-Year Warranty, Lifetime Tech-Support. 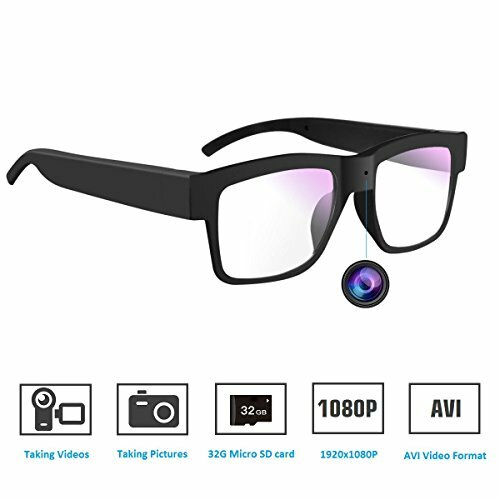 Hope you enjoy this item, any questions or suggestions pls do not hesitate to contact us. Check the Last Picture of Left Side, Send Message to Our Customer Service Directly.